The Senate Banking and Financial Institutions Committee recently heard testimony on data security legislation that MRA staunchly opposes and will hold a second hearing this week. 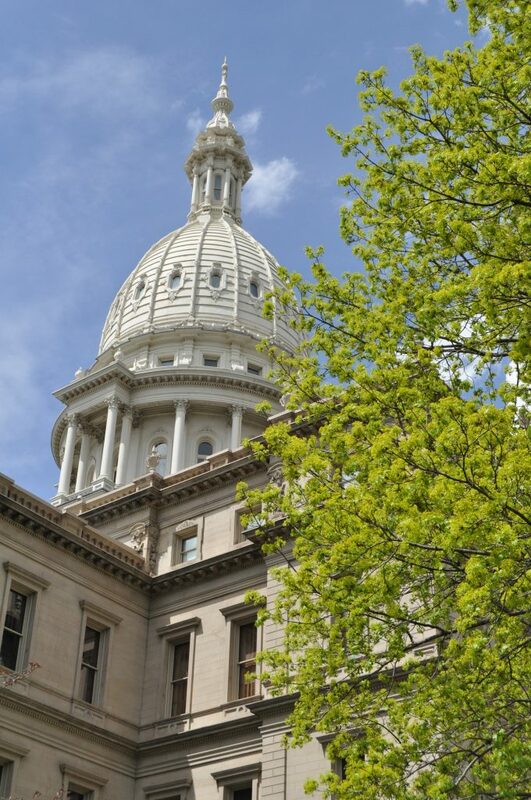 The bills, SB 632–633, seek to make several harmful changes to Michigan’s existing data breach notification law. The most troubling of the two bills is SB 633. If adopted, it would double the cost for retailers or business owners who are the victim of a data breach. It would also make an efficient system of notification extremely complicated by requiring a separate notification be provided directly to the issuing bank or credit union within three days – a near impossible standard. Despite hearing mostly testimony from credit unions and the bill sponsor’s staff due to time constraints, committee members recognized the many challenges the bills present to business owners. However, it’s an election year and they all want to find something they can present to their constituents to show the state is taking the issue seriously. After talking with the committee members, it seems many of them agree with the business community that SB 633 is unworkable as drafted. The hearings on these bills seem premature and most committee members feel more productive discussion is needed between financial institutions and business groups to look at best practices and methods to stop fraud collectively. The committee has a second hearing scheduled for this week where more of the concerned business groups, including MRA, will get a chance to publicly share concerns with the bills. Next step: Senate Banking and Financial Institutions Committee hearing May 15. | MRA Position: Oppose. Will the legislature legalize Marijuana? The Michigan Board of Canvassers recently approved the first ballot proposal to appear on the November ballot. Proposal 1 would legalize marijuana in Michigan and collected 277,370 valid signatures (well over the 253,523 required). The proposal is now before the legislature which can approve it as a new law, or the legislature can let citizens decide in November. The legislature has until early June to approve the proposal before it will automatically appear on the November ballot. The House and Senate seem to have differing opinions on how to handle the marijuana proposal. House leaders have said they will not take up the proposal and want voters to weigh in, while the Senate is still considering taking action on the initiative. Both chambers must approve the measure with a simple majority vote to make marijuana use legal in Michigan and keep the measure off the November ballot. Of course, politics comes into play when approving ballot measures. It’s uncertain whether having a proposal to legalize marijuana on the ballot would increase voter turnout in November. There could be pushback for legislators who vote in favor of approval or for not allowing citizens to vote on the issue. Alternatively, it may seem the legislature is skirting its duty and pushing off potentially controversial votes to the ballot. Next step: House or Senate floor vote. | MRA Position: Monitoring. Alcohol distribution: The House recently reported legislation that seeks to clarify and codify current rules on special licensees for events and address issues with product in high demand. HB 5768 would eliminate impediments to the flow of commerce by codifying and amending current rules that govern how beer and wine comes from suppliers to distributers to retailers. Under the bill, an exemption to skip a hold period on the wholesaler’s floor would be created for product in high demand. This would get beer and wine in high demand that frequently sells out quickly back in stock and on the shelves for retailers or for a special event. HB 5767 would allow retailers to provide wine dispensing equipment for special event licensees. Next step: Senate Regulatory Reform Committee vote. | MRA Position: Support. Beer and wine license quotas in rural areas: The House Regulatory Reform Committee approved a bill last week which seeks to address what is considered an oversight in current law. Currently businesses in cities, villages and townships with less than 1,000 residents cannot obtain a SDM license to sell beer and wine. HB 5719 would add a quota of one license per small town.Next step: House floor. | MRA Position: Support. Marijuana-infused alcohol: Legislation banning the sale of marijuana-infused alcohol was recently introduced as SB 969. The bill was approved by the Senate Regulatory Reform Committee last week. Next step: Senate floor. | MRA Position: Monitoring. Felony convictions on employment applications: Legislation that removes current statutory language that allows an employer to request information from a job applicant about a felony charge before conviction or dismissal would be removed under HB 5925. The bill was introduced by a republican but does not have any co-sponsors which makes it uncertain whether or not it will gain traction. Next step: House Commerce and Trade Committee. | MRA Position: Monitoring. Medicaid formulary: SB 986–987, introduced last week, are part of budgetary recommendations from the state that modify which specialty prescription drugs the state includes on its preferred drug list. Current law includes some “protected classes” of specialty drugs that treat conditions like HIV and cancer. This change would allow the department to realize approximately $5 million in savings by selecting which medications the state will cover after negotiating rebates with drug manufacturers. MRA is monitoring the legislation and policy closely to see if this will impact reimbursements to pharmacies. Next step: Senate Appropriations Committee. | MRA Position: Monitoring. Modernizing substitution pricing: Legislation MRA has been seeking to modernize archaic statutory language related to prescription pricing when a substitution occurs was reported by the House Health Policy Committee. MRA testified in support of the bill which we expect to pass the House this week. Next step: House floor. | MRA Position: Support. Benefit eligibility: A bill that would extend the timeframe government assistance benefits are available to an individual after the individual gets married received a hearing in the House Families, Children and Seniors Committee last week. SB 752 would allow an individual to continue receiving benefits for an additional 18 months effective on Jan. 1, 2019. Next step: House Families, Children and Seniors Committee vote. | MRA Position: Monitoring. Drones on Mackinac Island: The Senate approved legislation last week, SB 715, that would allow Mackinac Island to regulate the use of drones. Mackinac Island only allows horse-drawn carriages and needs the ability to regulate drones, which can spook the horses. While MRA opposes unnecessary drone regulations, MRA does support reasonable regulations that protect public safety. Next step: House Communications and Technology Committee. | MRA Position: Support. Gift cards: The Senate also approved legislation last week that will exempt third-party gift cards – the kind that you often find on kiosks in checkout lanes. SB 729 clarifies that these cards, just like gift cards sold directly by retailers to be used at their store, are not subject to the regulations under the Money Transmission Services Act. The bills were introduced after a state department attempted to regulate them under the act. Next step: House Financial Services Committee. | MRA Position: Monitoring. Fireworks: Bipartisan legislation recently introduced as HB 5939–5941 would put new bond requirements on retailers selling fireworks from a non-permanent structure. The requirements to sell larger-scale fireworks in a permanent structure are very onerous, and sales are often seasonal which is why many fireworks retailers choose to sell out of tents or other temporary structures. These bills would require a new $5,000 bond, prohibit the transfer of a location between June 1 – July 31, require the installation of an automatic sprinkler system in permanent locations, add a new posting requirement, and modifies the days and hours local ordinances can limit fireworks usage. Another bill in the package would prohibit the use of sky lanterns, and allow the governor to place weather-related bans on the use of fireworks. Next step: House Regulatory Reform Committee. | MRA Position: Monitoring. Local occupational licensing requirements: Legislation that would limit the ability of local governments to enforce or impose occupational licensing fees or licensing requirements for certain professions was introduced as HB 5955–5965 last week. The bills would prohibit any new licensing requirements but grandfathers in any existing requirements. The new limitations would not apply to elevator maintenance, security alarms, electricians, and other skilled trades licensed under the Skilled Trades Regulation Act. Next step: House Local Government Committee. | MRA Position: Monitoring. Monthly payday wages: The Senate Commerce recently reported a bill making a technical fix to keep businesses that pay employees monthly in compliance received a hearing in the Senate Commerce Committee. HB 5235 modifies the statutory requirement for the date of the month by which employers must pay employees who receive a monthly wage. Instead of requiring payment be received on the first day of the month, the bill pushes that back to within 16 days after the end of a monthly pay period. Next step: Senate floor. | MRA Position: Support. Nitrous oxide containers: HB 5463–5464 approved as PA 136-137 Nitrous oxide canisters: Snyder signed two bills into law that prohibit the sale or delivery of nitrous oxide canisters to minors. The new laws will take effect on Aug. 8 and attempt to solve the problem of teens using “whip-its” to get high. Next step: None. | MRA Position: Monitoring. Nonalcoholic sales at wineries: Legislation that would clarify a winery, brewery or distillery may sell nonalcoholic beverages including water or pop on site was approved by the House Regulatory Reform Committee last week. The bill is in response to a specific township that is interpreting the business’ wine-making license as a limited license that does not allow sales of water or other nonalcoholic drinks to customers who may not wish to consume wine. Any business with a sales tax license can sell water or pop and this bill clarifies any potential confusion that may exist in current law. Next step: House floor. | MRA Position: Neutral. Pyramid schemes/direct selling entities: The Senate Commerce Committee heard testimony last week on legislation that clarifies what is and what is not considered a pyramid scheme. HB 5726–5729 strengthen state law to stop bad actors and will help clear up public confusion over which direct selling companies are legitimate. The committee should report out the bills soon. Next step: Senate Commerce Committee vote. | MRA Position: Support. PPT exemption clarification: HB 5261, which allows businesses to only file one commercial Personal Property Tax (PPT) exemption for property with a true cash value of less than $80,000 was recently signed into law as Public Act 132 of 2018. Under the new law, which took effect on May 3, an exemption will only have to be filed the first year a business is claiming one. There will be no additional filings required unless the property is no longer eligible for the exemption. Next step: None. | MRA Position: Support. Use tax responsibility: The House Tax Policy Committee reported a bill last week that seeks to clarify who is responsible for sales or use tax when a property owner supplies material that will be used by contractors. The bill will clarify that the tax liability for tangible property purchased by another person and provided to a contractor for installation is the responsibility of the purchaser, not the contractor. Next step: House floor. | MRA Position: Monitoring. Veterans sales tax exemption: A recently introduced bill, HB 5913 would include veterans’ organizations (501c19 organizations) among the list of those eligible for a sales tax exemption. Next step: House Tax Policy Committee. | MRA Position: Monitoring.